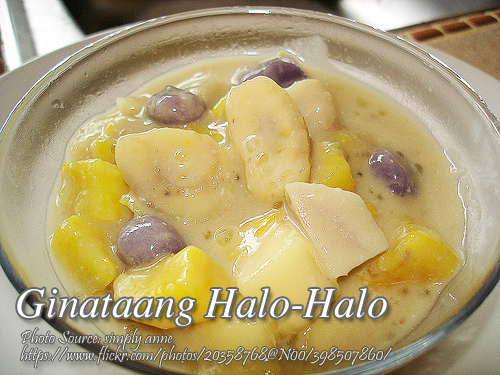 A tasty local snack or dessert called ginataang halo-halo which is made from boiled sweet potatoes, purple yam and saba bananas garnished with sago and ripe jackfruit bits then combined with coconut milk. To make ginataang halo-halo; Pour one cup of lukewarm water and extract milk from grated coconut, strain and set aside. Discard shredded coconut meat. 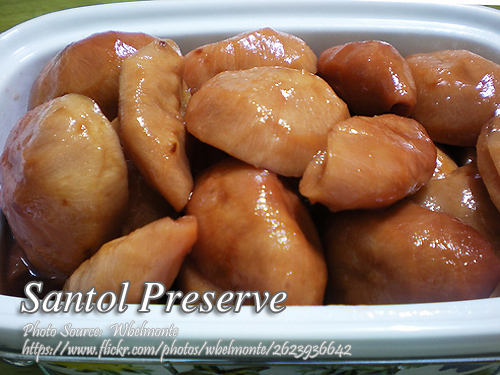 Make small balls from malagkit rice flour dough. Set aside. This will be the bilo-bilo. Peel potato, fresh ube and saba banana. Slice into small cubes. Boil water, add bilo-bilo balls and simmer until balls float. Remove from water and set aside. Boil sweet potato until tender. add ube, banana and langka. When cooked, add in coconut milk extract, pandan leaf and rice balls. Simmer until thick and creamy. Add sago; remove pandan leaf. Pour one cup of lukewarm water and extract milk from grated coconut, strain and set aside. 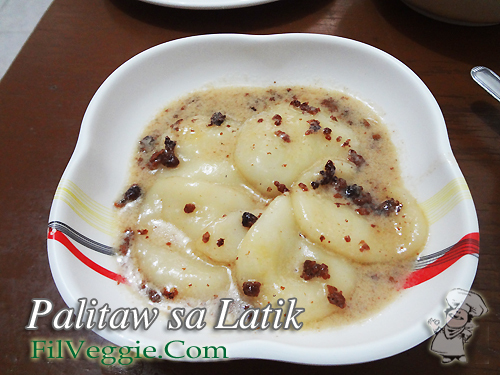 Make small balls from malagkit rice flour dough. Set aside. This will be the bilo-bilo. Peel potato, fresh ube and saba banana. Slice into small cubes. Boil water, add bilo-bilo balls and simmer until balls float. Remove from water and set aside. Boil sweet potato until tender. add ube, banana and langka. When cooked, add in coconut milk extract, pandan leaf, sugar and rice balls. Simmer until thick and creamy. Add sago; remove pandan leaf.